You can quickly submit the t-shirts you love to our gallery with a single click. If you have Google Chrome all you need is this extension, if not, read below. 1. Drag this bookmarklet below to your browser’s toolbar. Extra: Got Google Chrome? Awesome, use our chrome extension. 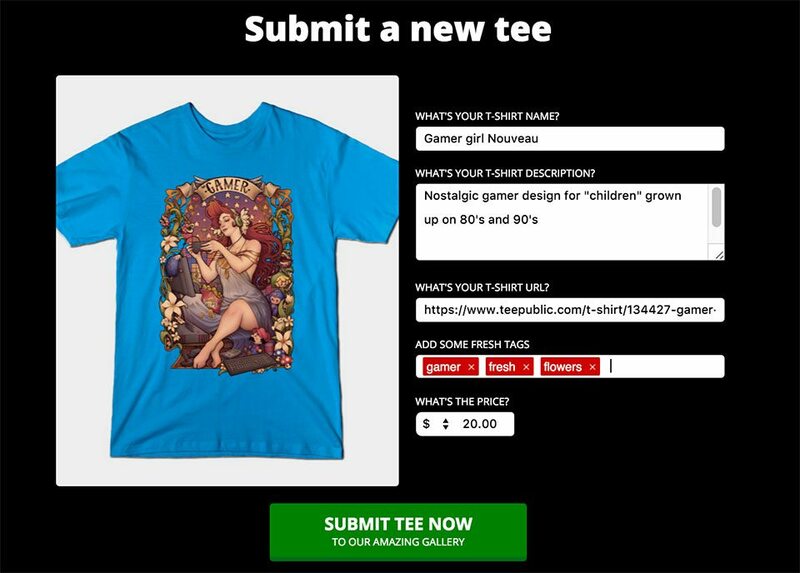 And you can also use “Submit tee” and copy/paste the URL.